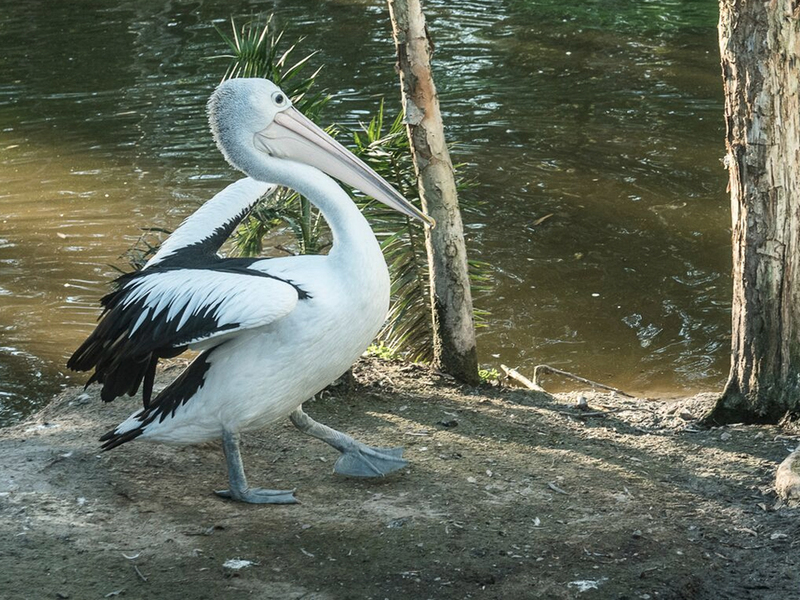 The Australian pelican is medium-sized by pelican standards, with a wingspan of 2.3 to 2.6 m (7.5 to 8.5 ft). 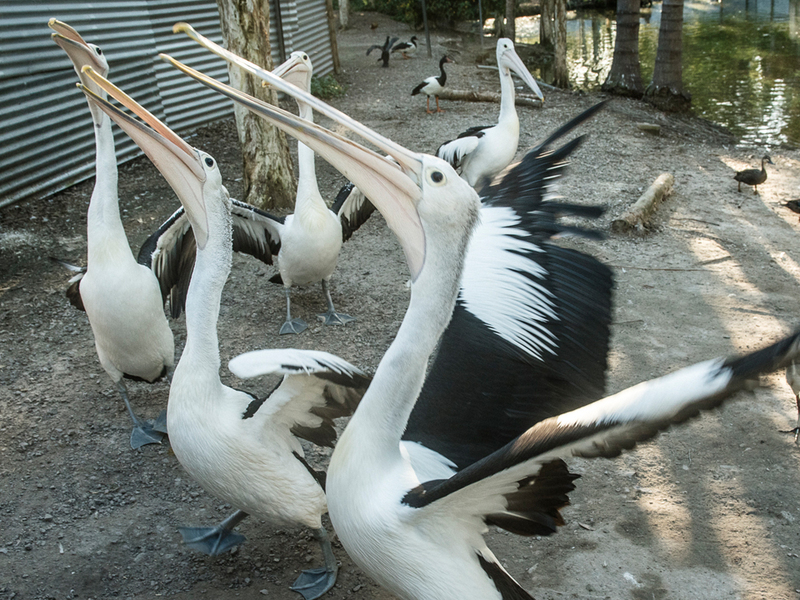 Weight can range from 4 to 13 kg (8.8 to 28.7 lb), although most of these pelicans weigh between 4.54 and 7.7 kg (10.0 and 17.0 lb). The pale, pinkish bill is enormous, even by pelican standards, and is the largest bill in the avian world. The record-sized bill was 50 cm (20 in) long. Females are slightly smaller with a notably smaller bill, which can measure as small as 34.6 cm (13.6 in) at maturity. 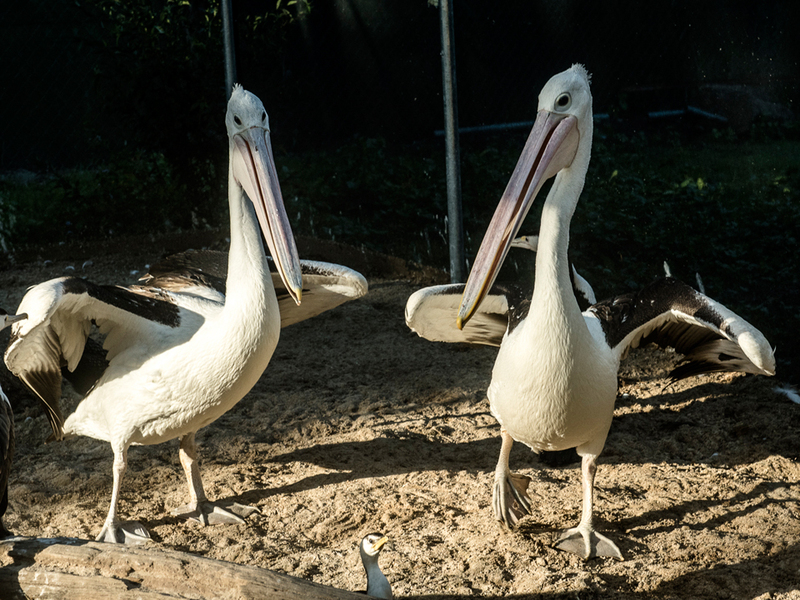 The total length is boosted by the bill to 152–188 cm (60–74 in), which makes it rank alongside the Dalmatian pelican as the longest of pelicans. It has the largest bill of any bird. This species can occur in large expanses of mainland Australia and Tasmania. Australian pelicans occur primarily in large expanses of open water without dense aquatic vegetation. The habitats that can support them include large lakes, reservoirs, billabongs and rivers, as well as estuaries, swamps, temporarily flooded areas in arid zones, drainage channels in farmland, salt evaporation ponds and coastal lagoons. The surrounding environment is unimportant: it can be forest, grassland, desert, estuarine mudflats, an ornamental city park, or industrial wasteland, provided only that there is open water able to support a sufficient supply of food. However, they do seem to prefer areas where disturbance is relatively low while breeding. They may also roost on mudflats, sandbars, beaches, reefs, jetties and pilings.